Leicester saw-off Spanish side Real Mallorca in their second pre-season friendly as they battled to a 1-1 draw with Los Bermellones in Stockholm. Sven Goran Eriksson fielded an entirely different eleven to that which featured in the 3-1 victory over IK Sirius on Tuesday, opting to play what would appear to be more akin to a 'First XI' against the Spanish first tier outfit. 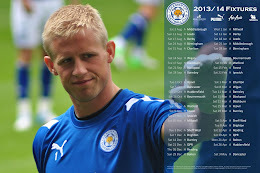 Only Matt Mills was left out from the seven new signings to the Foxes squad, with Kasper Schmeichel, Lee Peltier, Sean St Ledger, Paul Konchesky, Neils Danns and David Nugent all making their first appearances. It was, however, Mallorca who struck first with a goal from Israeli forward Tomer Hemed after a stray pass from Sol Bamba gifted Chori Castro a shooting opportunity that Schmeichel could only parry into the path of Hemed, who could not fail to give his side the lead. The Foxes fought hard though, a determined Nugent not quite taking chances given to him by Konchesky and wing-man Darius Vassell. They were to gain their reward following a free-kick from Paul Gallagher in the second half, St Ledger bundled into by Kalu Uche and rightly awarded a penalty which Gallagher deployed in his customary cool fashion. That Leicester failed to grab a winner will not have worried Eriksson, who once again would have been pleased to see a team complete a full ninety minutes of relatively competitive football. Indeed, the tempo with which the Foxes played was high, Gallagher breaking free to create chances on goal and the new midfield trio of Danns, Richie Wellens and skipper Andy King looking controlled and well-balanced throughout. Eriksson will now be looking forward to his side's next fixture against Vasalunds IF, where perhaps he may be looking towards fielding a team more representative of that which could take to the field at the Ricoh Arena in three weeks' time. He will certainly be hoping that his side can put in another impressive and committed performance and take a win into the tour of Austria.